FOUNTAIN VALLEY, Calif., June 20th, 2018 – Genesis ranked highest among all automotive brands in the J.D. Power 2018 U.S. Initial Quality Study (IQS) released today. This marks another leap forward from last year, when Genesis ranked first among premium brands and second overall in its first time included in the study. There were 31 ranked brands, 13 premium, in this year’s study. The Genesis G90 also placed first among vehicles in the Large Premium Car segment for quality ratings. The IQS study, now in its 32nd year, serves as the industry benchmark for new-vehicle quality measurement. The 2018 U.S. Initial Quality Study is based on responses from 75,712 purchasers and lessees of new 2018 model-year vehicles who were surveyed after 90 days of ownership. The study is based on a 233-question battery organized into eight vehicle categories designed to provide manufacturers with information to facilitate the identification of problems and drive product improvement. 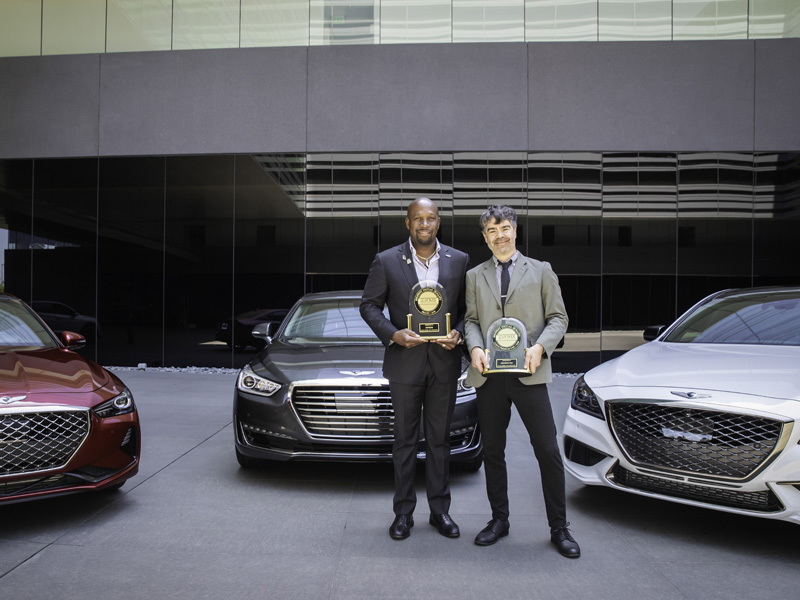 Since taking top honors in the 2017 IQS study among premium brands and second overall, the Genesis brand placed second in J.D. Power’s U.S. Automotive Performance, Execution and Layout (APEAL) Study among premium vehicles. Genesis Motor America, LLC is headquartered in Fountain Valley, Calif. Genesis is a global luxury automotive brand that delivers the highest standards of performance, design and innovation. A total of six new Genesis models, including the flagship full-size G90 luxury sedan, mid-luxury G80 and G80 Sport sedans and soon-to-arrive G70 entry-luxury sport sedan, will launch by 2021 and compete with the world’s most renowned luxury car brands. All Genesis vehicles sold in the U.S. are covered by an industry-leading warranty with enhanced roadside assistance and concierge services. In 2017, Genesis received accolades from leading third-party media and analysts, including ALG, GOOD DESIGN, J.D. Power, and Strategic Vision.